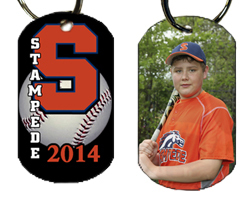 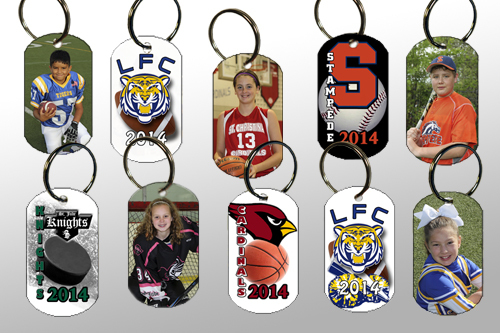 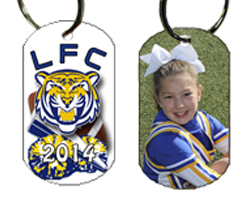 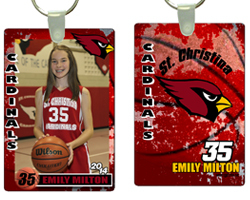 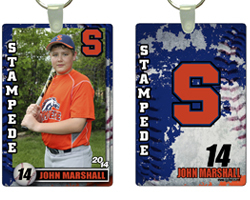 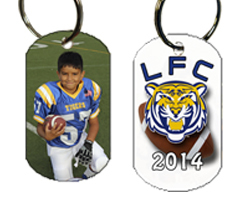 These tags are (2) sided made of aluminum 1.25 inch x 2 inch with key ring. 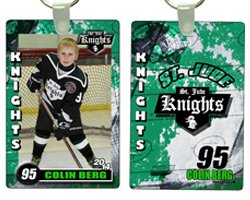 The player tags come with player on one side and team name and logo along with sports graphics and date on the other side. 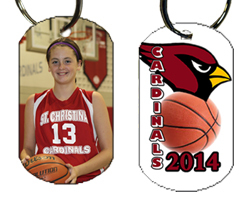 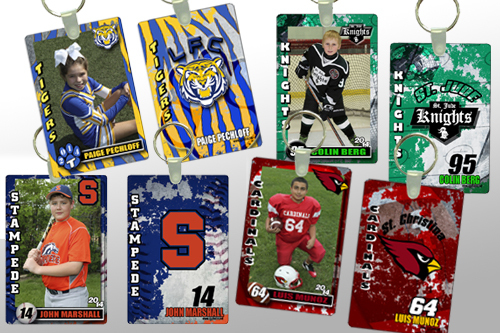 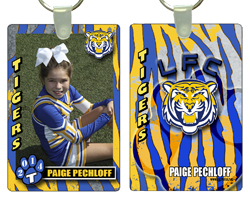 The acrylic key chain come with player and name on one side and team name and logo along with sports graphics and date on the other side.